Coachella is getting into the virtual reality scene with a new app that offer 360-performances, interviews and tours of the grounds. Now festivalgoers will be even more glued to their phone screens. 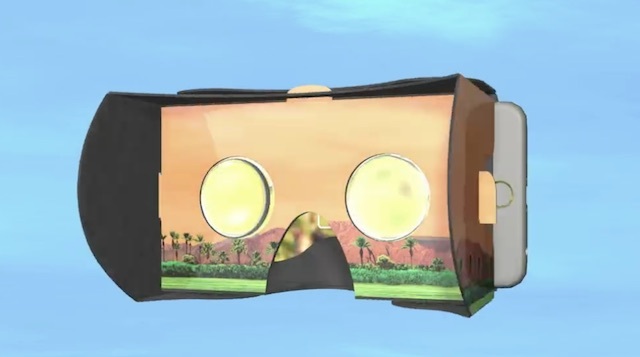 Coacehlla has partnered with Vantage.tv to create the Coachella Virtual Reality App, Pitchfork reports. Those who purchased tickets to the festival will be getting a VR headset sent to them this month, which can be used in combination with the app before, during and after the fest. You can use the app to watch performances and interviews with Coachella artists, take virtual tours of the festival grounds, and check out VR experiences that other attendees create. It appears that the headset in question will be from Cardboard VR. These are typically made from cardboard, which you fold into a headset that fits your smartphone. The app is available for Android, iOS and Samsung Gear VR. The app is free and can be downloaded by anyone, so if you don&apos;t have a ticket, here&apos;s your chance to virtually poke around the fest without any of the hassle. Recently, Six Flags announced that they&apos;re adding a VR experience to their pre-existing roller coasters in select parks, and a virtual reality arcade via VR company Starbreeze opening in L.A. this spring or summer.